I think it’s worthwhile to halt the gaming and comic book stuff for a day and remember the 10th anniversary of 9-11. I first heard about the attacks when I started driving to work that morning. I hadn’t turned on the TV that morning while I ate breakfast, but I had my radio tuned into NPR. As I began pulling out of the driveway, I heard the broadcaster say something about a “hole in the side of the Pentagon”. It sounded like it was going to be a story about a contractor making some mistake and putting a hole in the wall. Only a few seconds later, still on my street, I had the full news and couldn’t quite process it. When I arrived at work, I saw the north tower fall and then my boss sent everyone home. 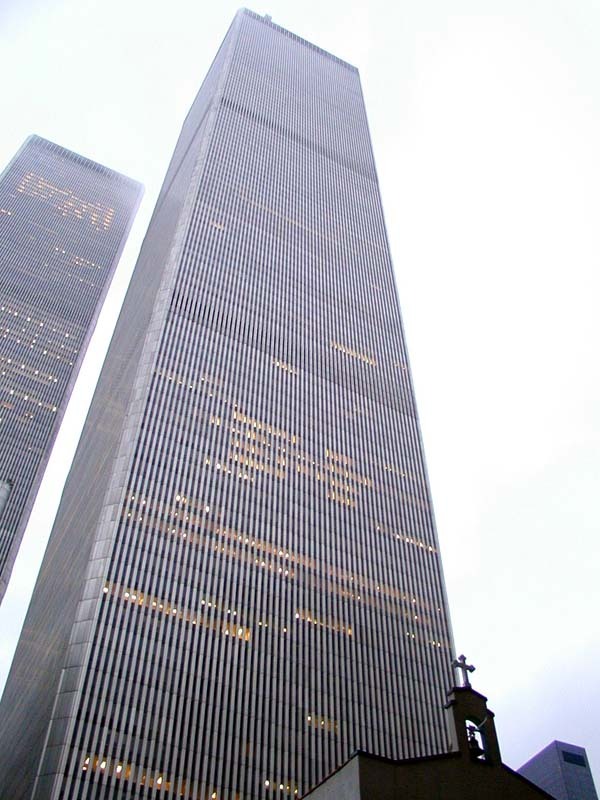 The office complex I work in contains one of the taller buildings in Las Vegas (no comparison to the WTC, which by itself held about half the total office space that Las Vegas could boast at the time) and we were near the airport, so the landlords wanted everyone out. When I got home, my wife had already flipped on the TV and discovered what was happening. My daughter was 3 at the time, and I knew the U.S. (really, the entire Free World) had just experienced a “Pearl Harbor” moment. Having some knowledge of terrorism and anti-terrorism from following Strategy Page and reading Dunnigan’s work, I figured that we were in for something that would last longer than the Second World War, something that would make the world my daughter grew up in a different place than my wife and I had grown up in. Not necessarily worse – we grew up during the Cold War, after all, but different. So, here’s to remembering the event and the many whose lives were affected by it and its aftermath – the dead, the wounded, the heroes and the mourners. It’s a time to think of the core values that folks in the Free World share – at heart, the notion that people do have fundamental rights to their lives and their ideas, and that nobody has the right to take those things away. It’s also a good time to remember that, of the billions of people who live together on this planet, it is a fairly tiny number who don’t hew to this notion. Most of us, regardless of nationality, philosophy or religion, live in peace – sometimes we argue and we might harbor any number of ill thoughts about one another over the course of the day, but at the end of the day any of us could sit down and share a meal or a drink with other folks and talk about the kids, the game and life in general and part with a handshake. It’s a good world we live in – don’t forget it.